This week, the Coresight Research team was in Hangzhou, China, to attend Alibaba’s annual Investor Day event. 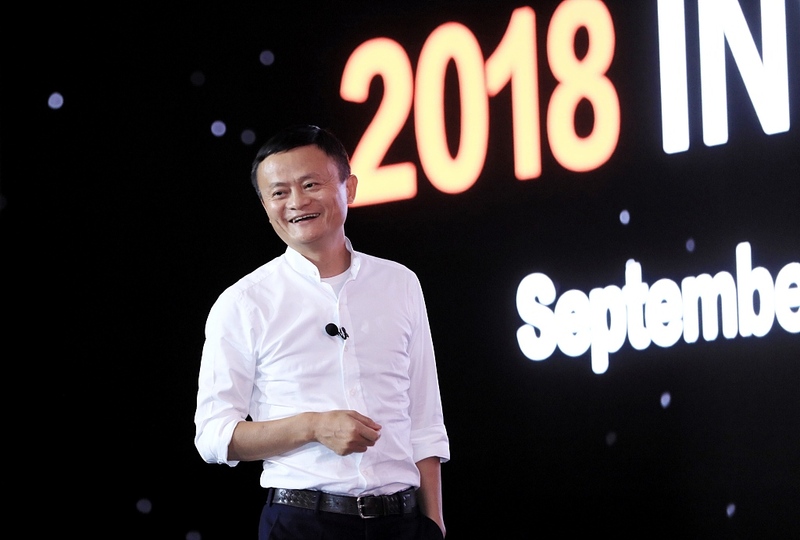 It was our first opportunity to hear from Alibaba Chairman Jack Ma following the company’s announcement on September 10 that he will step down next year. Ma remarked that Alibaba started to evolve and professionalize its management in 2009, when its 18 founders were asked to resign. He said that he did not want Alibaba to adopt the Asian business culture norm of “gray-hair CEOs” and that fast-growing companies such as his need to have a planned system for succession. The anticorruption program undertaken by authorities represented “painful surgery,” Ma said, and he predicted that it will take China three to five years to recover from it. He suggested that the country needs young leaders who understand business in the wake of this crackdown on corruption. China is changing from an exporter to an importer, and from a focus on serving consumers in other countries to a focus on domestic consumption. Ma is urging China to open up its market and make reforms to its domestic economy. On tariffs, Ma said that trade wars were easy to start, but hard to stop. He also forecast that China will rely much less on one dominant export destination—the US—in the coming years: it will do business with more countries in Africa, Southeast Asia and Europe, and China’s One Belt, One Road program of infrastructure development will underpin this diversification. Domestic consumption will continue to rise. Today, China is home to 300 million middle-income consumers and that number will soon grow to 500 million. This middle-income segment provides meaningful opportunities to Tmall, which serves consumers seeking branded goods, including those from international companies. At the same time, China has more than 1 billion people living below the middle-income line, although some of these consumers will move up the income scale in the years ahead. Low-income shoppers remain an opportunity for Alibaba, Ma said, noting that when people have little money to spend, they head to the company’s Taobao marketplace, which aggregates consumers selling to other consumers and small-business sellers. Ma was not alone in suggesting that Alibaba is well placed to cater to growing consumer demand. For instance, Hou Yi, CEO of Alibaba’s omnichannel supermarket chain, Hema, suggested that Hema is well positioned to serve Chinese consumers’ increasing demands. The retailer offers a strong selection of fresh foods that are complemented by restaurant dishes for in-store dining and delivery. It also offers differentiated private-label brands, rapid delivery and greater traceability of products for customers. We think that Alibaba has a strong bench and can continue to grow through diverse acquisitions that are fueling their top and bottom line. In addition, through creative strategies to encourage consumers to enjoy more of the Alibaba ecosystem—such as the recently launched 88 VIP membership program—it is illustrating its prowess in New Retail and the new economy. Other pieces you may find interesting include: E-Commerce Opportunities in China: A Discussion with Alibaba and Coresight Research, Brands Think Alibaba Offers More Protection Against Counterfeiting than Amazon and Other Top Takeaways from Cosmoprof North America, Hearing from JD.com and Alibaba’s Tmall on the Distinctions of Chinese Retail.